Walter Isaacson begins his chapter on the world’s most famous painting this way: “And now, the Mona Lisa.” We’re near the end of this handsome, hefty, magnificent exploration into the life, work and times of, arguably, the world’s greatest genius. Throughout, Isaacson invokes two of his previous subjects, Steve Jobs and Albert Einstein, but declares rightly that the eloquent polymath Leonardo da Vinci was unique and in ways that matter particularly today in our fragmenting world. Leonardo exemplified creativity at its most passionate and multidisciplinary, and always with a sense of wonder. 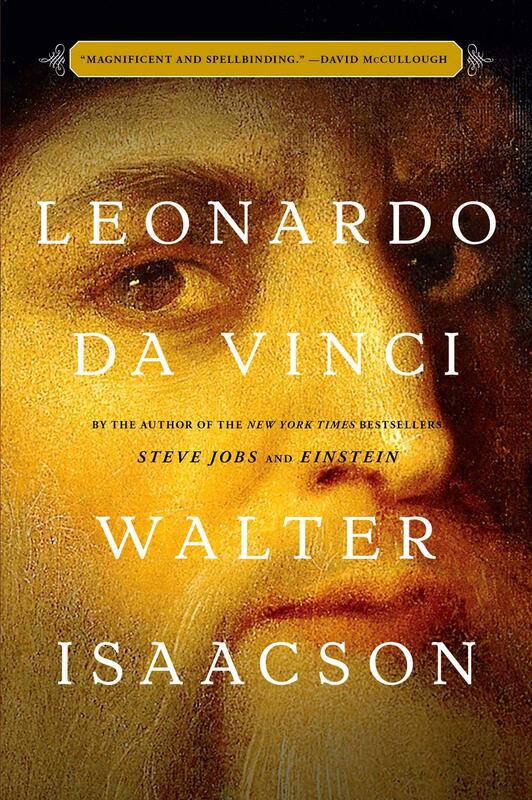 He is, says Isaacson, the “ultimate example” of the main theme of his previous biographies – “how the ability to make connections across disciplines – arts and the sciences, humanities and technology” – is a key to innovation, imagination, and genius.” But what prompted Isaacson to add his name to the already rich store of writing about Leonardo, generously credited here? The answer would seem to be twofold: new information due to advances in analysis and interpretation of Leonardo’s writings and art, and new translations, especially of the Notebooks, over 7,000 pages of doodles and scribbles that constitute “the greatest record of curiosity ever created.” Like most artists of his time, Leonardo never signed his works or kept a record of them or even finished many, but as Isaacson declares, Leonardo was a “master” of the unfinished. He loved to revise, to touch up. He carried around the Mona Lisa for years, and never gave it over to del Giocondo who had commissioned it. It was in his studio when he died in May 1519. Attractive, theatrical, gregarious, skeptical, Leonardo was, perhaps a bit of “a misfit” Isaacson speculates, because he was illegitimate, gay, vegetarian, left-handed and easily distracted. But these qualities served him well. An innovator and inventor 23 years older than his competitor Michelangelo, who was also gay but uneasy about it, Leonardo openly acknowledged his young male lovers and felt secure in his person and profession. This is a remarkable tome, beautifully illustrated and with a complex human being at its core. Isaacson can’t get over, and neither can we, Leonardo’s final line in the notebooks, that he was putting down his pen because “the soup is getting cold.” Paramount bought the film rights to the book, by the way, for Leonardo DiCaprio, though I can’t imagine how any movie could be as informative and compelling as this wonderful book.